I've never owned a vehicle that had decent backup lights. The Liberty is no exception. I decided to install some aftermarket lights. 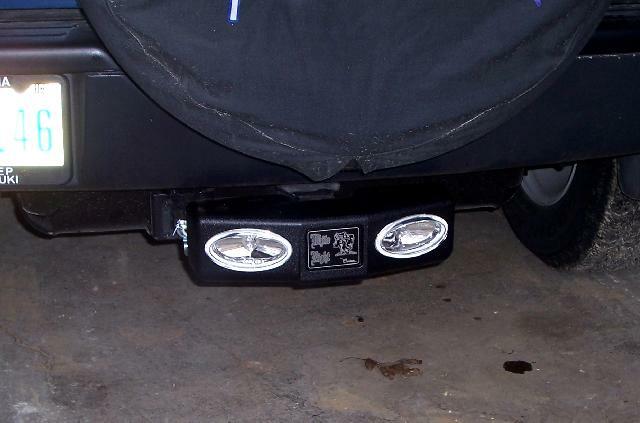 I was looking through Summit Racing's website for traditional backup lights when I saw these. I decided to give them a try since they mount to the hitch receiver. Installation is simple. I used a locking hitch pin. The light comes with a a pigtail and wire to splice into factory wiring. I bought a 7-pin receptacle instead. There is a switch on the back of the light housing to turn the lights on anytime. That's a handy feature. 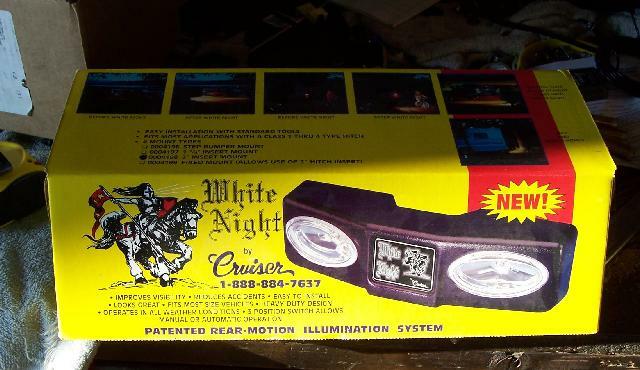 Update (4/2006) - One of my buddies at work was asking me about the White Night lights. I found out they make a version ('fixed mount') that attaches to the receiver and the drawbar goes through the light assembly. That is nicer and I will be converting mine to that style. Stay tuned for update pictures. Update (4/5/2006) - My attempt to convert to the White Night fixed mount style was unsuccessful. The housing is too deep. If it is mounted flush it covers up the hitch pin holes. If the housing is mounted more forward on the hitch receiver it requires a longer drawbar. There is no common ground. 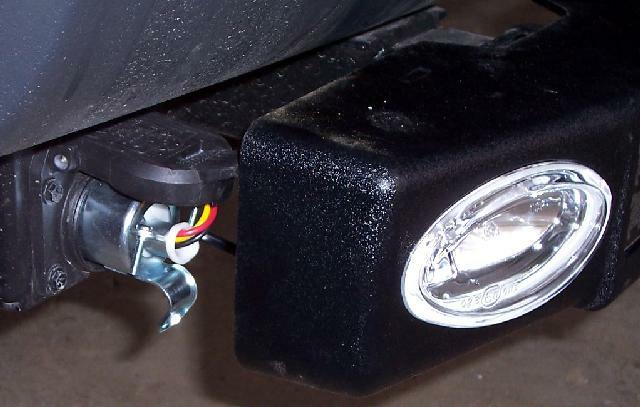 I'll use a normal backup light setup with the lights mounted to the hitch receiver.